Aurora (Russian: Авро́ра, tr. 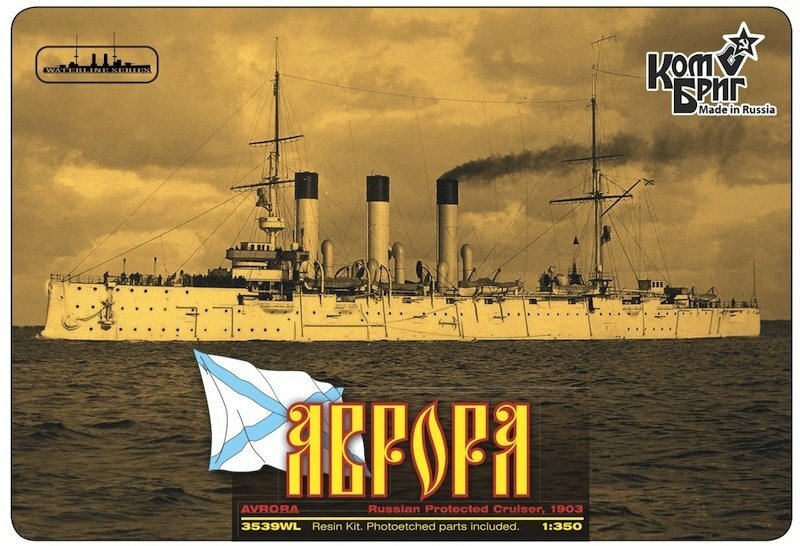 Avrora; IPA: [ɐˈvrorə]) is a 1900 Russian protected cruiser, currently preserved as a museum ship in St. Petersburg. Aurora was one of three Pallada-class cruisers, built in St. Petersburg for service in the Pacific Far East. All three ships of this class served during the Russo-Japanese War. The Aurorasurvived the Battle of Tsushima and was interned under U.S. protection in the Philippines, eventually returned to the Baltic Fleet. The second ship, Pallada, was sunk by the Japanese at Port Arthur in 1904. The third ship, Diana, was interned in Saigon after the Battle of the Yellow Sea. One of the first incidents of the October Revolution in Russia took place on the cruiser Aurora.